Call for special truckload pricing! The simple – and economical – way to add the storage you need. 40 sizes and styles available. 5/8" particle board decking included. 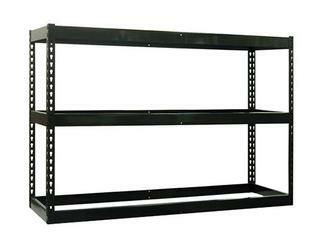 Additional shelves include (2) Front to Back members and (2) Left to Right members.